Editor’s note: This story has been updated to include information about the latest round of United Thank Offering grants, which are focused on racial reconciliation this year. The money will be in addition to the more than $1.2 million in United Thank Offering grants announced in July for 34 projects. 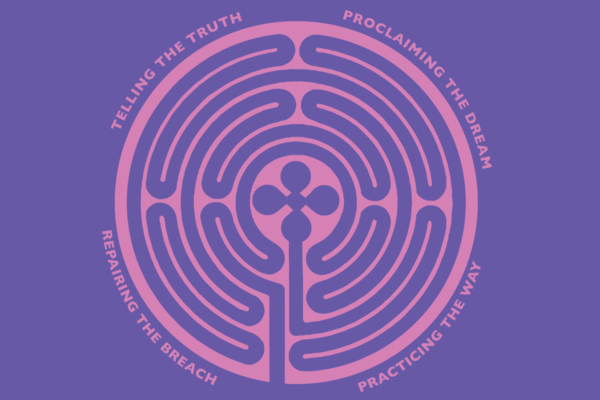 This year’s round of UTO grants were focused on racial healing, reconciliation and justice. The church also is taking steps to bring people together to share their insights. Another resolution, A228, calls for the creation of a Becoming Beloved Community summit by the end of 2019 to support and inspire the leaders of such initiatives. Because Becoming Beloved Community launched in the middle of the triennium, about $1 million was left from the money budgeted for implementation in 2016-2018. When the 79th General Convention met last month in Austin, Texas, it approved a new budget that applies that unused amount to continued implementation in the new triennium. I would hope that all involved wit this program would read “White Guilt” by Shelby Steele in order to better understand what is needed to make this program a success. Robbie Johnson, this story is not about the South, nor is the grant program. Robbie, as one who was born, raised and lived his entire life in Georgia, there are parts of my so-called Southern Heritage that do need to be the victim of “war” as you call it. I can’t change history, but I can look at it honestly and use it as a teaching tool to help future generations learn from our horrible mistakes in how we white folks treated anyone who was not white. I have known too many who made an idol out of portions of history that should never even be highlighted much less viewed favorably. We need to be ashamed of much of what we did and even in whose name we claimed to have done it. I am indeed a child of the south with all the baggage and the joys that come with that. We have work to do. Period. Bless your poor cotton socks. “War on Southern Heritage?” Do you mean southern traditions like racism, bigotry, hatred, anti-semitism, homophobia, xenophobia, and sexism? The church is doing good works here in reaching out to other communities and trying to build bridges. We should be celebrating this endeavour, not attacking it. The war on southern heritage is the continued effort by haters of the south to remove all Confederate statues, Confederate names on buildings and streets/highways, and stained glass windows. Included in his vile attitude is the removal of the Confederate battle flag along with the three official flags of The Confederate States Of America, some of the flags on private property no less! People do not “hate” the south. However, we have come to recognise that those symbols of traitors, of enemies of the United States who took up arms against her deserve no recognition or praise/honours. They deserve to be remembered in the history books or in museums but NOT in any places of honour or special recognition. The only flag for the Confederacy that matters is the white flag of surrender. The last active Confederate flag to be retired was the flag aboard The CSS Shenandoah at the port of Liverpool England in November 1865. It WAS NOT the white flag of surrender! Regardlesswhat you haters of the south say, there are those who proudly display the flags of the CSA. Once again, you overshot my point and completely missed, so let’s try again shall we. My point was that the only flag that matters for the Confederacy is the white flag of surrender. The war is long over, the dead are resting at peace, the cause is ended. There may be modern day neo-confederates, neo-nazis, and white supremacists who fly this “flag” of a nation-state that has been wiped from history, but they do that out of a hypocritical patriotism which they do not even understand and that shames the United States. Another book which should be considered is entitled: “In honor of Frank T. Griswold: I Have Called You Friends.” That provides insights into fair reconciliation without placing blame. We can talk about “privilege” in many terms if we want to be truly honest. Dare we? I’ll take the hit for saying this as someone who worked with minority youth and their families for years in social services. It was found by young people that having more children out of wedlock would get government largess which made the prospect of legitimate earning foreign. Turning down work and tuition-free education was too common. That’s privilege! I am sad to say that there were few “takers” to live self-sufficiently. There were a few radically good changes — but too few. Yes, there are examples of white privilege. Some of them are horrible and deserve exposure. But whites are not alone, and that is my point. This is the blind spot of today’s efforts of racial reconciliation. Heaping the world’s ills on one race while not addressing the privilege and lack of personal responsibility of, for example, the nearly 80% out-of-wedlock births of the African American community (and all of the setbacks, obstacles, and taxpayer burden of those choices) is just plain wrong. When did it become fashionably accepted to blame whites for the ills of America? Liberals don’t even hide it anymore. The New York Times just hired an opinion editor who was defended by them – defended – for her inflammatory hatred of whites. One of Sarah Jeong’s more tame racial zingers was “oh man it’s kind of sick how much joy I get out of being cruel to old white men”. (I wonder if it entered her mind that one of those “old white men” served in the Korean Conflict to help her nation of origin from being overrun by Communism). I am an “old white man” and I do take ownership of my white privilege and my part in creating the problems related to racism in this nation. White folks were the perpetrators of racial inequality in this nation from the beginning when we bought human beings who had been enslaved and brought over from Africa. I come from a very poor background and doubt that anyone among my family could have afforded to buy another human being. They were more likely to be indentured to someone themselves. I was born and raised in Georgia and that colony was originally founded by indentured servants. Perpetrating racial bias and prejudice by whites didn’t end when slavery allegedly ended. We are still dealing with Jim Crow laws in certain parts of the country. I can introduce you to people who will still show no qualms about using certain terms for African-Americans. I can take you places where anyone of color would not be welcomed. These are sad examples of what white privilege can create. The victims of bias and discrimination cannot resolve the problem. The resolution, the healing and the reconciliation has to begin with the admission on our part that we created the situation that still fosters racism and white privilege. Until we do that, progress toward healing and reconciliation will continue to be painfully slow. Yes, the color of your skin has brought you privilege you did not earn. Thank you, Bruce! Virginia plantation owners and colonial leaders founded the racist system in America and imbedded color-based definitions of race in the law. While the South was the most visible part of the emerging country in maintaining the race-based slave system and its aftermaths, Northern states gained massive economic benefits from it and mostly supported it until Southern political leaders decided they wanted full control. After slavery, the Jim Crow system prevailed in the North, as well, albeit with fewer written laws. We still struggle with the destructive results of housing segregation, which was legally as well as economically required. The challenge of overcoming and transforming the historical impact of racism, including the social privileges distributed by our culture predominantly to people defined as “white,” is probably the number one test of our capacity to move toward anything resembling a Beloved Community – but, please, Everyone, let’s try!! Do you really believe that? If so, I’m sorry. I look forward to the time when all training will adhere to the framework put forth by GC 2018-A044 and racial reconciliation certification process is tied to the framework and consistenly applied across the church for only then will the difficult conversations take place resulting in beloved community. Sorry, but I’m getting tired of reading all this racial reconciliation stuff. We can feel guilty about the state of things (or not) now, but I can’t personally help, defend, or condemn what went on in the past. In my 60 years of being an Episcopalian in the south, I’m sure there were probably some staunch racists in our fold, but they must have kept it hidden quite well, because I can’t name one from my past. I don’t have numbers or any sort of documentation, but I’m thinking that the vast majority of our parishes (small, large, rural, urban, whatever) are usually predominantly white, African American, Latino, or something else. How can we address racial issues in our Church, when generally we don’t worship together. I know there are exceptions somewhere, and there many times may be a small (very small) group of worshipers within a congregation who are of some other race or culture than that which is the majority. So, money, workshops, committees, etc. can have at it. But, if racially we are still going to be sitting in different buildings on Sunday morning, I don’t know what we gain, except that some of the activist types will probably feel better. Just my thoughts. It’s not just the past, though. It’s the present as well. There is still a lot of racism and white privilege in our society, and we as a church should do our part to combat this systematic sin in our society. The Episcopal Church favors all groups EXCEPT white conservative hetrosexual southern males. It is just a matter of time until this demographic is swept out of the church! Where do you get this belief from? TEC is not sweeping anyone from the church. Bruce and Lou. I didn’t deny that white privilege exists. I remarked that whites are not the only privileged persons when you stop the abstract statements and watch actual people. Circumstances and choices affect the level of advantage. The Civil War is over. The Great Society of President Johnson, and 50 years of national advancements have opened doors for people of all backgrounds. Booker T. Washington proved over 100 years ago that people can succeed and advance themselves but that it won’t be handed and it requires change. You want a total elimination of racism, privilege, and unfairness. So do I. Give credit, however to the successes and the opportunities. Have awareness, too, that there are significant numbers of people who want advantage without personal change. Who want their choices at the expense of others. Who scapegoat whites as though they are helpless. We have made much progress in many forms of our civil and social rights as a country, but we still have so far to go. There are many books. My favorite is by Jim Wallis : AMERICA’S ORIGINAL SIN. That was written over 100 years ago. America has advanced far since then and this reality is rarely recognized by progressive liberals some of whom make their living keeping the disease alive. No one writing today can claim the same credibility as someone who actually lived through the greatest injustice in American history. The bottom line for Washington is simple: don’t expect to obtain dignity from anyone – it comes from your character and what you achieve. You are not a victim except of your own limited thinking and dependence on others and what they think of you. Advancement means personal sacrifice and will not be granted easily to you. Embracing those ideals helps the “patient get well”. We do recognize the progress made. But we also don’t deny that there is still progress that is needed, unlike many conservatives who deny the problem of racism in general. Doug, speaking as a black conservative I could not agree more. I think Booker T. would be disgusted at the rhetoric of our so-called black leaders and progressives in general in this country. This whole “white privilege” concept is being used as a crutch for many who want things handed to them rather than actually working to improve their lot. It gets really old after a while. Will the black community still be whining about wp 2 or 3 generations from now? Probably. I would say that I trust the majority of African-Americans who point out the racism and white privilege in our society over the minority of black conservatives who deny the problem. Matt, you have not the experience or viable true statistics to be able to make the claim that racism – true racism – is a sustained experience of a majority of African Americans. I have three African American families around my street who will tell you that you don’t know what you’re talking about. They call out their own community for exaggerating being offended. Like them I would question what is being experienced and whether it is racism or something else. When some people are questioned it is called racism. When criminals who in fact DO the crime are caught and are punished it has been called racism. The collective media recently admitted that they gave Mr. Obama lots of room and softball questions with limited scrutiny because of fear of being labeled a racist. (Now they tell us.). The race card is pulled too often. Yes, racism and hate exists and should be examined and resisted, but a grievance and entitlement orientation also muddies the water and – as the labyrinth at the opening of this article suggests – we must get to all of the truth. I’d also like to see evidence that fake claims of racism are widespread and systemic in society; actual polling and studies by non-biased sources, not merely anecdotal evidence. I am fairly confident that instances of racial discrimination outweigh fake claims of racism by minorities. And where did you see the media admit to giving a pass to President Obama? It seems to me they treated him normally like every other president. There were days they were hard on him (usually when he messed up) and there were days they were easy on him (usually when he did things right). Unless you were expecting the media to follow the Fox News model and just criticize him no matter what he did, the media was perfectly fair in my opinion. Matt – so what you are saying is that you do not trust and will dismiss the opinions and beliefs of a person of color because those opinions do not match your own. Terry’s opinions are not trusted by you because they are opinions you consider a minority in the AfricanAmerican community? I thought this process of reconciliation was to first listen to each other and value all opinions but I guess the only ones that matter are those that match the opinions of white liberals. I’d say conservatives like Terry and yourself often dismiss the opinions of liberals and progressives without listening, so perhaps you should heed the advice of Matthew 7:5. I’m sorry, but there is abundant evidence of white privilege and racism in society, and it’s ridiculous to dismiss it as an excuse for people to not pull themselves up by their own bootstraps. There are real obstacles in society for people of color to get ahead in society. I did not dismiss his opinion, but rather voiced my disagreement (although perhaps I could have worded my disagreement better). I said that I agreed with the majority of African-Americans who don’t think white privilege is a concept used by people who “want things handed to them rather than actually working to improve their lot.” I didn’t know that I wasn’t allowed to disagree with someone just because they are conservative. I would also say conservatives such as Terry and yourself are often dismissive of the opinions of liberal and progressives, so you perhaps should keep that in mind when judging people of being privileged for dismissing conservative opinions (and remember Matthew 7:5). In fact, Mr. Ouellette has done nothing but been kind and courteous in these discussions from what I have seen since joining them myself. You were wrong to attack his comments because as he said his point could have been made clearer and he clarified his intentions and made a valid argument. He took the time to answer your “outrage” and acquitted himself well. Maybe you should try climbing off that high horse of yours? Although I don’t think they make ladders tall enough. Many years ago, I read Dinesh D’Souza’s book – The End of Racism. I may not agree with everything that he wrote but it was the first time I became aware of the complexity of slavery. It is good to have laws and policies to help those in real need but continued welfare based on past / perceived grievances should be discouraged. Sometimes a simple gesture of apology can go a long way towards reconciliation and healing. Leaders of African nations from where people were kidnapped and sold into slavery ought to participate in this also. I’m glad to see this program happening. Racism is one of our country’s original sins, and we still have a lot of work to do to rid the nation of it. As soon as you liberals get rid of southern white hetro males age 60 and over things will get better! Seems like almost every discussion of public issues these days, including racial justice, if addressed in a broad audience, descends into a battle between “conservatives” and “liberals.” I’d love to see us progress to a point where we can exchange information, experiences and viewpoints without condemning those expressed by someone else. Without such a strategy, there’s little hope of building a Beloved Community. To see this much vitriol aimed at white folks[really Caucasians] because they are “white” is the epitome of bigotry and hate! White people did not murder those nine poor people in South Carolina, an evil, possibly insane person did. Should I blame B. Sanders for the attempted murder of Steve Scalise and his colleagues because the shooter was a Sanders’ supporter? Many of you folks on this platform are trying with all your might to blame white people for the world’s ills. Ethnicity has NOTHING to do with evil acts. Blame the people who committed the crimes and stop this hate filled rhetoric about white people. I think the Episcopal Church is no longer a religious organization but an episcopal center for bigotry and hate. I would suggest that all “white” people leave the ecfb&h! Then all these white haters using this forum can have it to themselves. Well, I’m white and I certainly don’t feel hated in TEC or when discussing race relations. Nor have we blamed all whites for evil acts against black people. What we are doing is pointing out white privilege and forms of systemic racism that disenfranchises people of color, which are still serious problems in this country as I demonstrated with links in a previous comment. Pointing this out is not “hating white people.” That is not a serious criticism. Mr. Ouellette, please DO NOT come at me with this “white privilege” crap. Using that term , among others, is just another way to further spur discontent and divisiveness. Of course you don’t feel hated in the ec because you are one of the folks who promotes white guilt, even though in your own words, you are white. What I did not say in my earlier post is that if you are Caucasian and do not leave the ec, then in my view, you are a person who wants to see the U.S.A. follow the path of the Roman Empire to self-destruction. I do not believe that there is systemic racism in this country; and while we are “chatting”, racism [bigotry] is NOT peculiar to white folks; bigotry is, sadly, human and will be around so long as humans are here. If you ever wanted me to join you and other folks who share your views in a discussion, then I would be pleased to do so, BUT if anyone ever started this “white guilt” garbage, I would immediately leave the discussion. I am NOT responsible for anyone’s actions but my own and the bigotry against black people and American Indians are the actions of evil people; ethnicity had nothing to do with their evil. They perpetrated their bigotry because that is who they were. By your very assertion that “White privilege is crap,” you are exhibiting that very self same white privilege you denigrate as not being real. You do not have the ability to speak for all peoples in marginalised communities. You do not know our struggles nor can you speak for them. (Speaking as a member of one of those marginalised communities as a gay man.) While you are correct that it is not you personally who is responsible for the sins of slavery or of economic injustice, or so many other social ills. We all share the responsibility as members of a people who through their own erroneous deeds and actions throughout history have caused these injustices to exist. We are all historically responsible for the sins of colonialism, exploitation, and greed, we are all responsible for the sins of slavery and racism. It is all of our duties to make amends for these evils and ensure that they never happen again. Thank you for your comment. You show a clear sociological understanding that others who wish to use individual evidences for their points of view do not understand. Racism is a sociological and spiritual reality, not simply an interactive and psychological one. I would like to hear more from priests of our Church, like myself, in this dialogue. Mr. Sakal, thanks for your reply. From your response, it is obvious that you and I do not agree on much of anything. For example, you say “…You do not know our struggles nor can you speak for them”…”. I agree and the reverse is true! We are at stalemate now with those two sentences. Where I fundamentally disagree with you is saying “…that we all historically responsible for the sins of slavery and racism…”. I am NOT responsible for those evils nor are “white” people who treat others[ black, Asian, white, Hispanic, American Indian etc.] in a respectful and decent manner. And for you Mr. Taber, I have said and will say again, that sadly, bigotry exists and will exist so long as there are humans. Mr. Sakal, as long as folks with your viewpoint continue to “blame” me and other Caucasians for the sins of others, we as a country will NEVER overcome this slavery horror. Our dialogue has to be respectful from the outset and not “blameful”. Again, if you had read my comment instead of just skimming it for select pertinent quotes and trying to “soundbyte” me, you would realise that I agreed with you (See: While you are correct that it is not you personally who is responsible for the sins of slavery or of economic injustice, or so many other social ills. We all share the responsibility as members of a people who through their own erroneous deeds and actions throughout history have caused these injustices to exist.) I absolved you of personal responsibility which you so righteously clamored for. That being said, I respectfully again hold that as part of the human race, Caucasians including myself and yourself and all others are responsible for those evils referenced previously. We did not personally do those crimes or commit those actions, but we are still responsible for the making of reparations or the healing of those social ills. We must all take actions that will help heal those divisions. How would you like to have “respectful” discourse on this issue? Would you like to just sweep it under the rug and pretend that it doesn’t exist? I’m sorry but that’s your status quo and it will not stand any longer. Not for me, not for my generation, and not for others here too. I have had opportunity to work with people from different countries including Britain. I have heard British colleagues speak nonchalantly about the atrocities their ancestors committed against people of various countries including their own. They proceed to tell that why should they be held responsible for crimes that their grandfathers, great-grandfathers, etc committed. There is some truth to this. It may take multiple generations before wounds especially psychological ones are finally healed. The way forward would be to have proper laws to prevent similar acts happening again keeping history in mind. When the MeToo movement gained momentum, a lady friend commented that insulting acts against women have been going on for years but it is only now that laws are properly being implemented. Wonder who decided to allow the laws to be finally implemented! The British committed many atrocities in India; racism and casteism co-existed during their rule and this was a double curse esp for the middle and the lower castes. Once the British rule ended, people realized that they had to move on with their life and stop blaming the British for all their troubles. Mr. Sakal, I did read your posting and in my response I said that not only was I not responsible for the evils perpetrated but other white folks who treated non-white people decently etc. were not responsible. It is your “we” that I object to, even though you said that L. Waters was not responsible for the evils, you then blamed “we whites” which includes me! So far as healing, I try to treat other people in a respectful and dignified manner. And the discussion to which you refer, I have never pretended that slavery did not happen. It was a horrible and unspeakable evil done to many people. Moving out of the slavery discussion for a moment, what do think that the current German people should do about the concentration camps of WW2? My wife does not blame the current German populous for atrocities perpetrated on her Jewish ancestors. She is tearful but does not place blame except on the evil, monstrous people who did these inhuman acts. So back to the main discussion, what is it that you believe that I should do to atone for evil that other people committed? Mr. Sakal, my recent reply was not allowed; too much radicalism for the EC. I did read your reply and note that while you say that L. Waters is not personally responsible for past evils, you then say that all Caucasians are responsible for past evils and that includes me as a Caucasian. As far as healing social ills and evils, I try to treat each person with dignity and respect; that’s the way I was reared and that is the Christian way too. On another topic for a moment, how should modern day German people be treated for the evils/horrors of the WW2 concentration camps? My wife does not blame the German people for the atrocities committed by Germans against Jewish ancestors only the less than human/evil people who did these heinous acts. Back to your post, I never said anything about sweeping the racism issue under the rug , as you put it. I suggested that any discussion about racism/bigotry be respectful and not “blameful”. I have already stated that slavery was a most dreadful and horrible thing and should have never occurred. I cannot conceive how one so called human could enslave another human. Finally, Mr. Sakal, what would you like me and other Caucasians, who had nothing to do with slavery, do about healing wounds? You are correct in that I said that you personally met absolve yourself of responsibility for the crimes of the past. However like I said as a collective we caucasians do bear a responsibility for the granting of reparations or healing of those social ills. We should do our part to make amends for the past and make sure it never happens again. Regarding your information about Germany and World War II I believe that the German people have done the correct thing in repudiating the actions of the Nazis and disowning this portion of their history. This is in direct contrast to the neo-confederates and others who in this country cling to the statues of Robert E Lee and other Confederates. As a nation we should acknowledge this part of our history in the place of museums but not directly in places of honour not on street corners or in town squares. When I was a young Marine there were a lot of racial tensions in the Marine Corps. So they developed a program called “Human Relations” to get us all talking about our differences. Racial problems only got worse. Eventually they discarded that approach and started talking about what made us all Marines. You will never unify people by focusing on the differences. The Episcopal Church’s efforts towards “racial reconciliation” are bound to aggravate the problem rather than solve it.